In this Master Vintners novel by USA TODAY bestselling author Yvonne Lindsay, surprising secrets bring two people to the brink…. Protecting his foster parents means everything to Finn Gallagher. So when stunning Tamsyn Masters appears on his doorstep, looking for her mother, he does what he has to do—he lies to her. It’s not as if Tamsyn hasn’t done worse. And if a harmless seduction will keep her where he wants her, why not? Now Finn has another secret…he’s falling for Tamsyn. She’s not what he thought, and time is running out. The choice is clear—Tamsyn or the truth. Because he can’t have both. AMAZON | BARNES AND NOBLE | HARLEQUIN | BAM! I enjoyed this book by Yvonne. This book includes passion, laughs, heartache, secrets, and betrayal. If you have not read the below I would recommend reading those books first from “The Master Vintners” series. Tamsyn has just found out everyone has been keeping secrets from her. Her mother (Ellen) that she was told was dead is in fact alive. So she travels to the last town her mother was known to be in to find her. Finn wants to protect Ellen at all costs. Where was Tamsyn when her mother needed her and why did it take so long for her to come find her mother. When Finn finds out Tamsyn thought she was dead he is torn in two as her is starting to like her but made a promise not to reveal her mother’s location. When Tamsyn finds out Finn has been lying to her will it rip them apart? Will she ever be able to forgive and trust him? Will she find her mother? Seems that everyone puts Finn in a tough spot. Tamsyn has been lied to by those closest to her all her life. Makes it very hard to trust anyone. You can feel the chemistry pull these two together. Very good read. Look forward to the next book by Yvonne. Many scribblings, many years, a slew of secretarial and sales repping jobs, marriage and two kids later I heard the wonderful Harlequin Mills & Boon author, Susan Napier, speak at a local writer’s group. She mentioned Romance Writers of New Zealand and its contact details. At first I couldn’t believe there was a group for people like me but after about a year I plucked up the courage to join RWNZ and spent several years working on their committee. The sheer bliss of meeting with other people with the same dreams and aspirations, was indescribable. Eventually I learned that to really be a writer you had to actually finish a book, so I did and won a few awards along the way including Romance Writers of Australia’s 1999 Emma Darcy Award and Romance Writers of New Zealand’s 2004 Clendon Award. In 2005 I changed my target market from Mills & Boon in London and sold to Silhouette Desire, a line I’ve always loved to read and one I’m thrilled to be a part of. The morning I got The Call I was in the bathroom, getting ready for work, and just finishing putting on my make up. When my husband called me to the phone I couldn’t believe my ears when I heard Silhouette wanted to buy my book. My first thought was, “OMG, this is really happening!” I’d always read other people’s call stories and thought about how I’d handle The Call (I had thirteen good long years to think about it ) I swore to myself I wouldn’t go all gushy. Guess what? I gushed. I cried. I told my editor it was the happiest day of my life. Once my family realized that I wasn’t crying because someone had died, they all lay on the bed watching me talk to my new editor, frantically taking notes on everything she said. The makeup, by the way, was a total wreck by the end of the call. After we finished talking, I quickly rang two of my best writing friends in Australia (they are two and two-and-a-half hours, respectively, behind me time-zone-wise). I woke both of them up but hey, it meant they could celebrate with me all day long. Then I had to head off to work (a half hour late but I wasn’t in any state to care – or work for that matter :-)). It’s taken me a good many years to decide what I wanted to be when I grew up, but it’s been worth the wait and the support from my peers has been fantastic. If I can impart any wisdom about my journey so far it’s this – never give up. Ever! Keep your self-talk positive. Dream a big dream and be open to continually learning more about the craft of writing. Take ownership of what you do. Be proud of your writing. Tell people about it. If you hide your biggest passion from everyone how can you ever expect them to take you seriously. This last one is a really major soapbox issue of mine – I have had the snarky comments and putdowns about romance writing, the offers to help me with a chapter of my book, the sly winks and too loud laughter. But I’ve held firm. I believe in romance, I believe in what I’m doing and I firmly believe in the power of love in all walks of life and at all ages. There’s nothing to be ashamed of in that. Be involved in your organization. You’ll never regret the friendships and the wonderful contacts you make. And never give up! Ever! Tamsyn sighed inwardly. Find her something else to do. Sure, that would solve how she felt right now—not. She couldn’t blame her brother, Ethan, for wanting to make things right for her. He’d done it all her life, after all. But this situation was beyond his fixing. That was why she’d needed to get away. A holiday was something she’d been thinking about for a while. 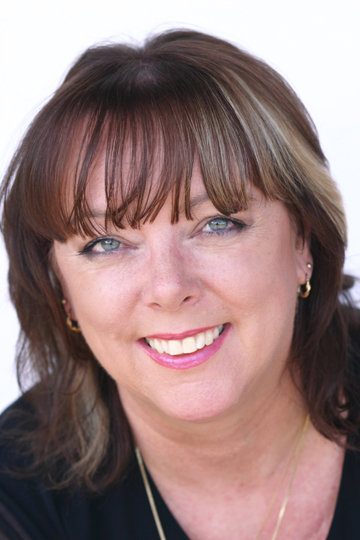 Working at The Masters, which in addition to being their family home was a vineyard and winery with luxury cottage accommodation on the outskirts of Adelaide in South Australia, hadn’t given her any satisfaction for a very long time. She’d been restless, feeling as if she didn’t really fit in anymore—at work, at home, in her family, even in her engagement. The debacle of the night before had only proven just how right she was. “You’re in New Zealand? I thought you were staying here in Adelaide with Trent last night,” Ethan’s incredulity was clear as it transmitted through the hands-free kit in her rental car. Tamsyn counted slowly to ten, letting her brother continue to let off steam before replying. There was the briefest of silences as her words sunk in. “You what?” Ethan sounded as if he wasn’t certain he’d heard her correctly. “Long story.” She swallowed against the pain that had lessened to a persistent dull throb deep in her chest. “Not now, Ethan. I c-can’t.” Her voice broke and tears spilled uncontrolled down her cheeks. “I’m going to hurt him,” Ethan growled from far across the Tasman Sea with his characteristic brotherly protec-tiveness. “I…I don’t know. It’s kind of up in the air at the moment.” She didn’t think that now was a good time to tell him she’d only bought a one-way ticket. Even though she knew he couldn’t see her, Tamsyn shook her head and bit her lip. “Yup,” she said, her throat almost paralyzed and strangling the single word. Her big brother’s firm conviction wasn’t as good as being right there with him, but in terms of comfort it came close. “I will,” she said firmly. It had already been a few months now, but the shock of discovering their mother—who they’d long been told was dead—was alive and living in New Zealand still reverberated through her mind almost every moment of every day. Learning after his death that their father had lied to them all this time was one thing, discovering the rest of their family had supported him in the lie was another—but realizing that their mother had chosen to remain apart from them, to never even try to make contact, well, that had raised so many questions in Tamsyn’s mind they’d begun to define everything about the way she saw herself. She could picture him right now, the frown on his forehead, the thinned line of his lips as he worried from afar. “I want to do this myself. I need to. Look, I’m not far from that address you gave me a couple of months ago. I’d better go,” she said, checking the distance on the screen of her GPS. She couldn’t hide the hurt in the words. A hurt that warred with resentment and anger and sorrow and so many unanswered questions that Tamsyn had hardly had a full night’s sleep since she’d heard the news that her mother still lived. That the woman she’d quietly fantasized about, a mother who’d loved her and cared for her too much to ever leave her behind, didn’t exist. She had so many questions and she had convinced herself that she was strong enough now to face the answers. She needed to so she could move forward with her life, because what she’d believed up until now had been based on lies and fabrication. Trent’s betrayal was the final straw. She didn’t even know who she was anymore. But she was ready to find out. Ethan’s voice broke into her thoughts. She disconnected the phone before Ethan could say another word and listened carefully as the disembodied voice on the GPS carefully enunciated that her turn was coming up in five hundred meters. Tamsyn’s gut clenched tight. She had to do this. As irrational and out of character as it was for her, the woman who usually planned everything out to the finest degree, she needed to do this. Carefully, Tamsyn turned in at the imposing stone-wall-lined entrance to a long driveway. She drew the car to a halt and closed her eyes for a moment. This was it—soon she could be face-to-face with her mother for the first time since she was three years old. A shudder passed through her body as her adrenaline levels kicked up a notch. The past twenty-four hours had been a roller-coaster ride. One that had alternately left her giddy with anticipation or sick to her stomach. Tamsyn opened her eyes and took her foot off the brake. The car began inching forward, rumbling loudly over the cattle guard beneath the tires and along the long straight stretch of driveway that gently inclined up the hill. To the left and the right of her, regimented lines of grapevines grew, their foliage lush and green and the early signs of fruit could be seen hanging on the vines. Considering it was only late November, Tamsyn’s experienced eye could see that this vineyard was in for a bumper crop. She continued along the long driveway. It snaked up a steep incline until finally, after a particularly tight hairpin turn, she saw the house ahead of her. The sprawling two-story building, crafted in stone and cedar, dominated the crest of the hill. Her lips set in a firm line of disapproval. So it clearly hadn’t been a lack of money that had kept her mother from staying in touch, she thought cynically. Was this how Ellen Masters had used the money her husband had sent her for the past twenty-odd years? Tamsyn used that cynicism to propel her out of her car and toward the front door. It was now or never. Taking a deep breath, she reached for the iron door knocker and lifted it, only to let it drop with a solid clang. A short time later she heard footsteps echo from inside. Her stomach tied in knots as every last ounce of her resolve suddenly fled. What the hell was she doing here? Finn Gallagher opened his front door and had to force himself not to take a step back. He recognized the woman standing in front of him with a surety that went soul deep. Ellen’s daughter. So the little princess from Australia had finally decided to visit. Too little, too late, as far as he was concerned. Far too late. The pictures he’d seen of her over the years, hadn’t done her justice, though he had the sense he wasn’t seeing her at her best. His sweeping gaze took in the mussed long dark brown hair that cascaded over her shoulders and the dark bruises of tiredness that stained porcelain skin under wide-spaced brown eyes. Eyes that reminded him so much of her mother. The woman who, together with her partner, Lorenzo, had mothered him when his own family had disintegrated. Her clothes were creased but still stylish, and clung to her curves in a way that drew his eye to the opening of her blouse and especially to the tempting swell of creamy skin exposed there. Her skirt skimmed her hips and down her slender thighs to end just above the knee. Not long enough to be dowdy and not so short as to be inappropriate, but somehow still enticing. It all spoke to the privileged upbringing she’d enjoyed. He found it difficult not to feel bitter when he knew how hard her mother had scraped and worked for a decent life. Clearly the Masters family had looked after their own—they just didn’t look after those who walked away from them. Those who didn’t conform. His gaze drifted back to her face where he noticed her full lips tremble slightly before pulling into a nervous smile. “H-hello, I was wondering if Ellen Masters lives here?” she said. Her voice was tight, as if her throat was constricted and in the late-afternoon sun that slanted across her face he could see telltale signs of tear tracks. Natural curiosity rose from inside him but he quelled it with his usual determination. “And you are…?” he asked, knowing full well what the answer would be. He took her hand in his, noting instantly the coolness of her touch, the fragility in the bones of her fingers as his larger, stronger ones closed around hers. He struggled against the instinct to go into protection mode. There was something very not right in Tamsyn Masters’s world right now, but, he reminded himself, that wasn’t his problem. Keeping her away from Ellen was. Surprise her? Yeah, he just bet she did. Without sparing a thought to whether or not her mother would, or could, see her. How typical of her type, he thought angrily. Pampered, spoiled and thinking the world spun for her delectation. He knew the type well—unfortunately. Too well. They were the kind who’d always expect more, no matter how much you gave. People like Briana, his ex. Beautiful, seemingly compassionate, born into a life of opportunity—but in the cold light of day as grasping and as single-minded as Fagin in Oliver Twist. “Are you sure you have the right address?” he asked, tamping his fury down. Before his eyes, every particle in her body slumped. Her eyes suddenly brimmed with unshed tears and a stricken look froze her delicate features into a mask of sadness. Again that urge to protect her welled within him—along with the compulsion to tell her of the well-concealed and unsealed driveway she’d have passed on the road here. The one that led to the cottage where Ellen and Lorenzo had lived for the past twenty-five years or so—but he just as determinedly pushed the impulse back. He knew for a fact Tamsyn Masters had legally been an adult for ten years. What whim had finally driven her to seek out Ellen now? And, more important, why hadn’t she reached out to her mother sooner, when it could possibly still have made a difference to the other woman’s happiness? She reached into her handbag for an oversize pair of sunglasses and shoved them none too elegantly onto her face, hiding her tortured gaze from view. As she did so, he caught sight of the white band of skin on the ring finger of her left hand. Had the engagement he’d read of over a year ago come to an end? Had that been the catalyst to send her searching for her mother? Whatever it was, it was none of his business. “No problem,” he answered and watched as she walked back to her car and turned it around to drive back down the driveway. Finn didn’t waste another second before reaching for his cell phone and punching in a number. It went straight to voice mail and he uttered a short sharp epithet in frustration while listening to the disembodied voice asking him to leave a message. He slid his phone back in his pocket and closed the front door of his house. Somehow, though, he had the feeling he hadn’t completely closed the door on Tamsyn Masters. 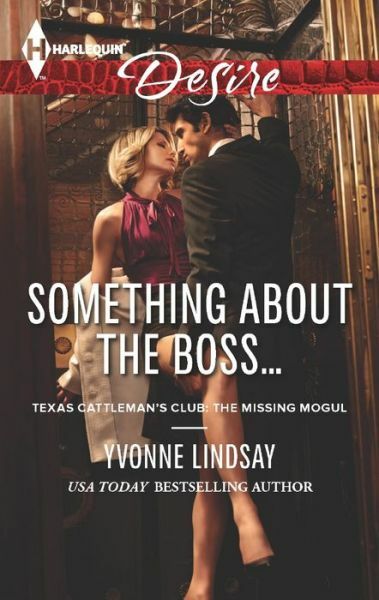 From USA TODAY bestselling author Yvonne Lindsay comes a Texas Cattleman’s Club tale of big business, seduction and betrayal. Ever since Sophie Beldon’s boss vanished, she’s been working for Zach Lassiter. But Zach’s been acting mysteriously, and Sophie can’t help wondering what he’s hiding. Could he be involved in the disappearance? The trouble is Sophie’s had a red-hot yearning for Zach from the moment they met. So when she decides to seduce him to uncover his secrets, perhaps she’s kidding herself about her reasons. Because the soul-searing passion she discovers in his arms has Sophie praying that her mistrust is unfounded. I enjoyed this book by Yvonne. This book includes passion, betrayal and romance throughout the entire story. If you have not read the below I would recommend reading those books first. Sophie Beldon is personal assistant to a missing man. Her boss is missing and no one knows what happened to him. She continues to keep his office running in the hopes that he will come back. Since his best friend is missing Zach Lassiter has stepped in to keep all the projects his best friend is working on progressing. So he is working in his office and she is helping him out it the business side of things. Zach is desperately trying to help his ex-wife through a tough time and also help find out what happened to his best friend. When Zach starts shutting his laptop and placing calls on hold when Sophie comes into the office she starts to suspect that he might have had something to do with his friend being missing. She decides she should seduce the answers out of him. She is having trouble keeping it to just seducing him and getting answers to her questions and finding out if he has anything to do with his friend going missing. She starts having feelings for him. I enjoyed the chemistry between the two. They seemed to calm each other when they were together. I like Zach and was not put off by his take charge attitude with his ex-wife. As I am with a lot of the male characters who want to take care of issues by forcing the woman to do what they want. You could tell he cared and was not just forcing her to obey his command. He seemed to really want to help out Anna. Sophie is also a good person and she is very compassionate and understanding. You can tell she is really worried about her boss and is trying to get to the bottom of where he is. When Zach finds out what she suspects of him how will he react? What has “SHE” hired a PI for? Who feels most betrayed by turn of the events? What is Zach really hiding? Who is Anna and why is she important to them both? Sophie flew into the office five minutes later than usual. It drove her crazy to be late, for any reason. She’d woken way past her usual time and had had to forgo her morning coffee and bagel in an attempt to make up for it. With a vague wave at their receptionist and the skeleton staff already working at their stations in the open-plan office behind reception, Sophie went through to the executive office suite, smoothing her short blond bob with one hand. She flung a glance at Zach’s office door–it was open. Darn. He was already here. Despite her best efforts, Zach Lassiter had beaten her into the office, again. Not good. Not when she was doing her best to keep everything running on an even keel, and certainly not when she needed to do some snooping in his office. He was hiding something, she just knew it. She dropped her shoulder bag on the corner of her desk. The bag didn’t quite make it, though, and it slid off the surface to fall silently onto the thick carpeting, its contents spilling at her feet. “Damn!” The curse slipped from her lips and even now, though she hadn’t lived under her mother’s roof in more than four years, she felt the quiet reproof of her mother’s gaze for dropping her standards so. They might have been poor, but her mother had always expected her to act like a lady. She scrabbled to put everything back where it belonged–a place for everything and everything in its place; it had been her mantra for longer than she could remember. Her hand hovered over the photo she carried with her everywhere and she straightened with it still in her hand. They’d been so young, so innocent. Victims of circumstance. Silently she renewed her vow to find her half-sister; Sophie owed it to them both. And she was getting closer. The latest report from the private investigator she’d hired to find her sister had listed a new possibility to explore. Thinking about it had kept her awake half the night, hence her sleeping past her alarm this morning. A noise from behind her, from the kitchenette that she kept well stocked, sent a prickle of awareness tiptoeing between her shoulder blades. Zach gave one of his lazy, killer smiles that always managed to send a bolt of longing straight to her gut, as he handed her a coffee. Sophie fought to quell the tremor that threatened to make her hand shake as she accepted the mug. She’d tried to shore up her defenses against her crazy attraction to him, but even after eighteen months she still failed miserably. Working in the same office space with him had been taxing enough, but now working directly for him–well, that was a whole new kettle of fish altogether. “No problem. I was getting myself one. Is that you?” he asked gesturing to the photo in her hand. It was the kind of snapshot that most kids had taken at some stage in their lives. Siblings, oldest behind, youngest in front. Gap-toothed smiles fixed on their freckled faces, hair pulled back into identical pigtails, bangs straight across their eyebrows. Oldest staring dead ahead, youngest–still baby-faced at age four–with eyes unfocused, distracted by whatever it was that day. Sophie certainly couldn’t recall although she remembered well the sensation of her sister’s bony shoulder beneath her hand, the steady warmth of Susannah’s body standing close to hers, almost leaning into her in that way she did when she wasn’t entirely comfortable with a situation.